Since our beginning in 1954, we have made great efforts in order to develop our bussiness. Experience and dedication are the secrets that make possible our high quality products. In 1954, Mr. Diego Piñero Moreno started the bussines and, consequently, a family tradition. At that time, almonds were hand-cracked and kernels were mostly sold to patisseries. Mr. Diego started to commercialize inshell almonds. He introduced his sons Luis and Diego to almond bussiness. Keeping in mind their father's values and knowledge, the brothers went on with their father's bussiness. Almendras de La Mancha was founded by Luis and Diego. 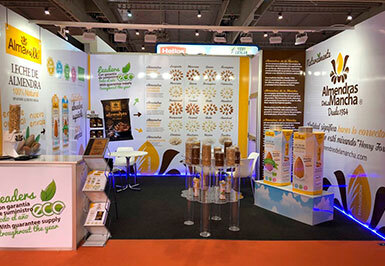 Speaking in terms of time, Almendras de La Mancha is a young company, but it counst with years of experience. The company entails the best shelling equipments. Almendras de La Mancha also works with an exceptional group of suppliers who contribute to grow the company. In this year, 2016, there are two new improvements: a new shelling line only for organic almonds and a blanching equipment. 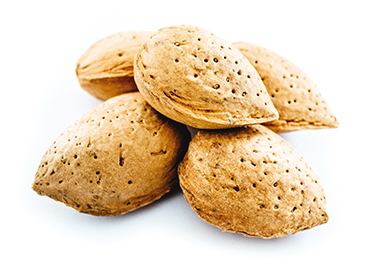 With this, Almendras de La Mancha carries out the whole process of almonds. Since 2007 our facilities are equipped with a photovoltaic plant working 100 KW per hour which makes possible an environmentally-friendly production. Almendras de La Mancha shells 300 almond tons everyday in the best conditions.